Click "Reports" in the left-hand tab. 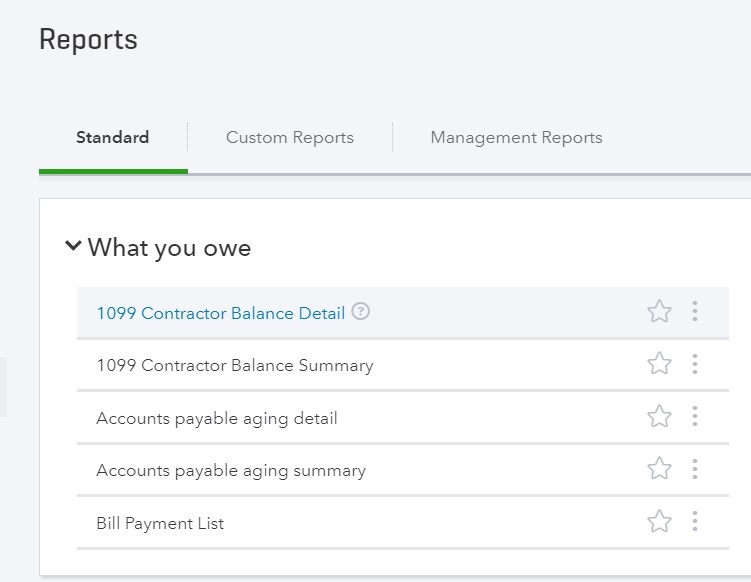 In the "What You Owe" box, you can select reports for 1099 Contractor Balance Detail and 1099 Balance Summary. The report results should provide a summary of payments by vendor that have exceeded the 1099 thresholds. However, the results will only show vendors that had the "Eligible for 1099" checkbox marked on the vendor's tax settings. Therefore, before proceeding, take additional measures to scrutinize all payments to all vendors. 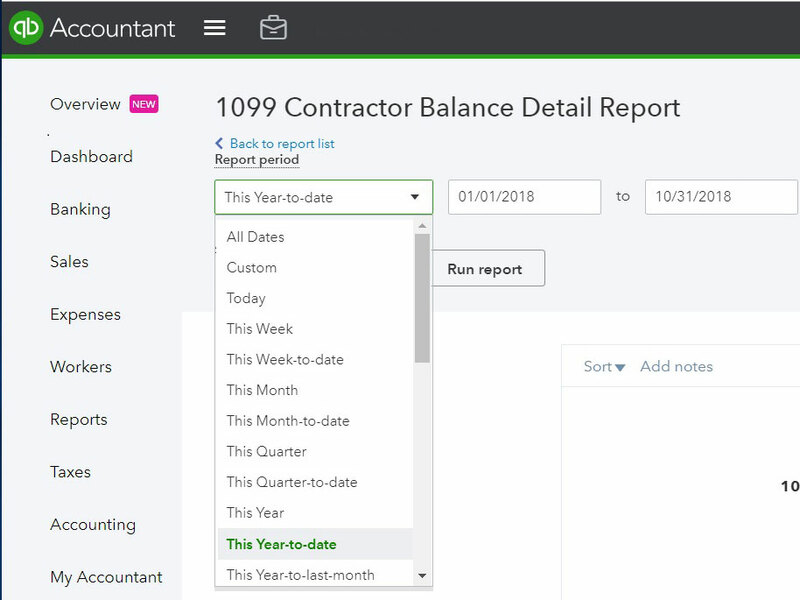 Now that you know how much you paid your 1099 vendors in the prior year, you'll want to review your 1099 Vendor Details to spot any missing details before exporting.